I hope everyone is well and enjoying what’s left of the snow (if you got any). I’ve just come back from the Belgium Christmas markets and I wanted to share this product with you as I think you’re gunna love it! Now I have really strange hair, it used to be super frizzy and really puffy when I dried it and I had to straighten it all the time for it to be anything close to acceptable. However, as I’ve gotten older, my hair seems to have calmed down (thank the lord) so now I try not to add too much heat to my hair too often, and to be honest, I think that’s the reason for my hair growth. 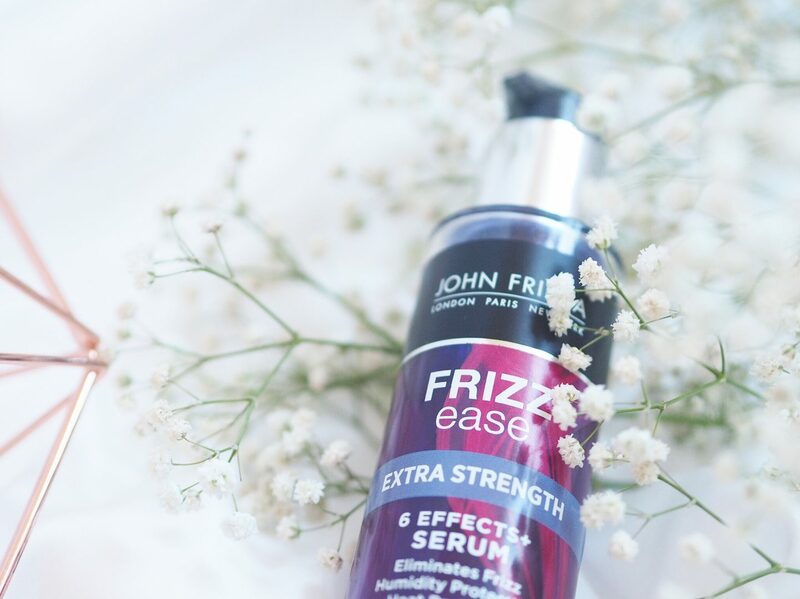 Recently, I’ve been using the John Frieda’s Extra Strength 6 Effects Serum and it’s made a huge difference to the look and feel of my hair! With this serum, you pump some product into your hands and run it through wet hair, avoiding the roots. So I have been using this after I’ve washed my hair with shampoo and conditioner and it also acts as a de-tangler (which is super helpful). The serum smooths, hydrates and tames your hair, leaving your hair less frizzy and fly away. I have noticed that once I’ve applied the serum and dried my hair, my hair has felt softer and less puffy which means I can go out to work or out and about and not have to apply more heat to my hair which damages it! 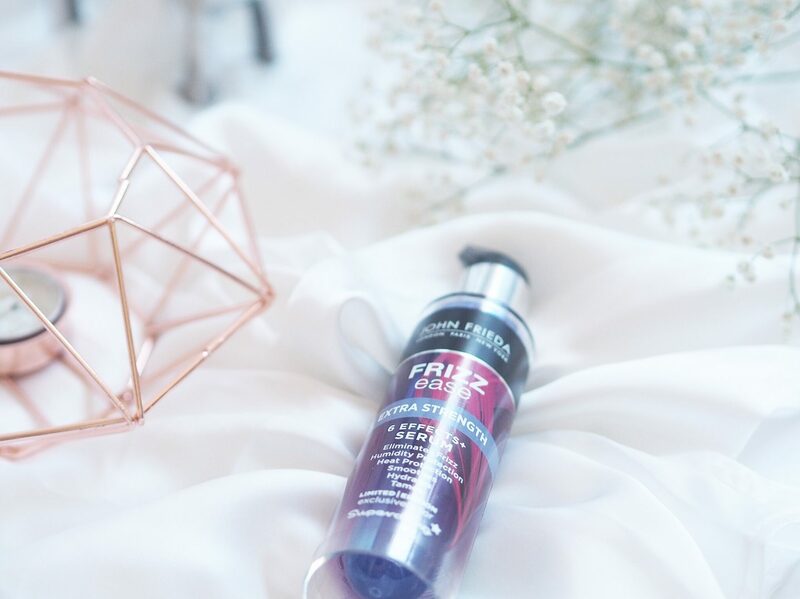 This particular product retails for £6.99 at Superdrug, but there are lots more Frizz Ease products in the range you can read about and try if you’re hair is anything like mine! Do you supper from frizzy hair? If so what do you use? well you cant really complain at a 6.99 price tag, can ya? i read another review of this yesterday that said pretty much the same thing. i lucky that my hair is pretty straight anyway, but my best friend has a cray-cray curly mane and is always complaning about frizz, into her christmas present it goes!